When you are looking for top quality Bucket Elevator Chains, you must consult us at Nishi Enterprise as we can provide you with the finest manufactured products in this industry. We have been designing and manufacturing top grade Bucket Elevator Chains for our worldwide customers for a long time. As a leading name in this industry, we have been operating for many years and this has enabled us to come up with superior quality products on a consistent basis. With our Bucket Elevator Chains you can certainly enhance the production levels of your projects. It is therefore no wonder that companies both in India and abroad prefer to use the bucket elevator chains that are designed by our experts. Here at Nishi Enterprise, we are keenly aware of the various needs for which our customers choose to use bucket elevator chains. For this reason, we regularly design and produce some of the finest bucket elevator chains that can be implemented for a broad range of functions. The high end performance offered by our products make them extremely useful in cement industries as well as various other industrial arenas. All of our bucket elevator chains are in compliance with international quality standards. We also have an extensive quality control team that tests each and every bucket elevator chain product for the highest level of efficiency before approving them for sales. It is due to this reason that our products are considered flawless by our customers. Here are some of the features of our bucket elevator chains that make us different from all the rest. Our bucket elevator chains are meant for various heavy duty tasks and projects. We use highly advanced production methods and equipments which leads to the creation of bucket elevator chains with precise measurements. Since we choose only high quality appropriate materials for our products, the bucket elevator chains have the optimum properties which make them extremely useful. Our products are exposed to heat treatment so that they have high abrasion resistant properties. We offer an extensive range of bucket elevator chains that can manage different types of load requirements. Our bucket elevator chains also come with additional properties such as high strength, superior durability as well as low friction co-efficient and enhanced output. 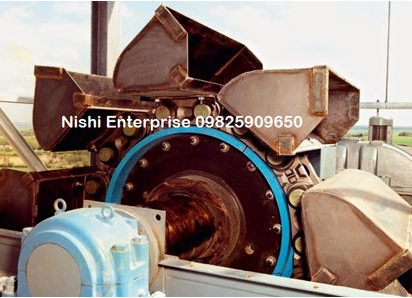 So once you have decided that you want to find the best bucket elevator chains for your business, simply contact us at Nishi Enterprise for the best solutions.